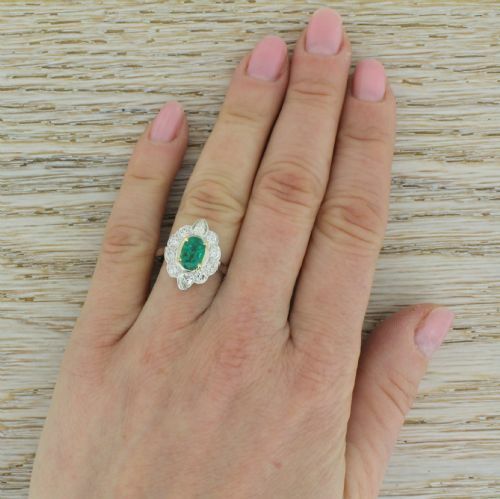 A vintage emerald and diamond ring that takes the breath away. 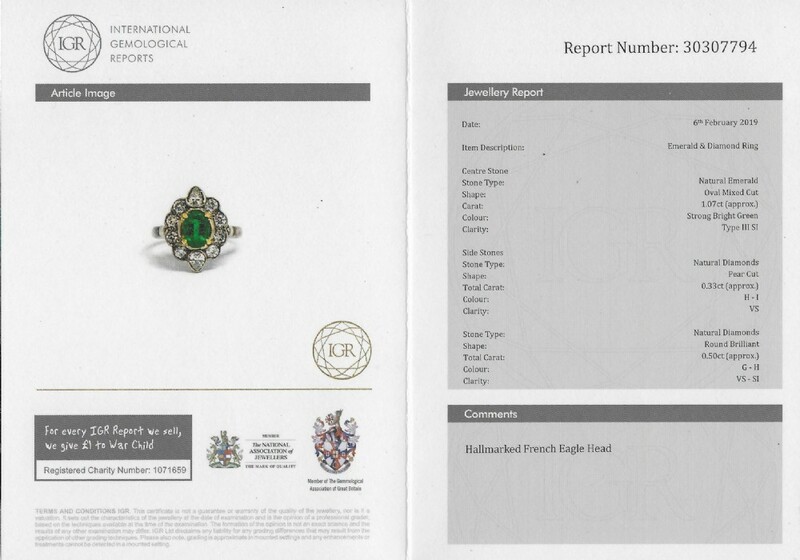 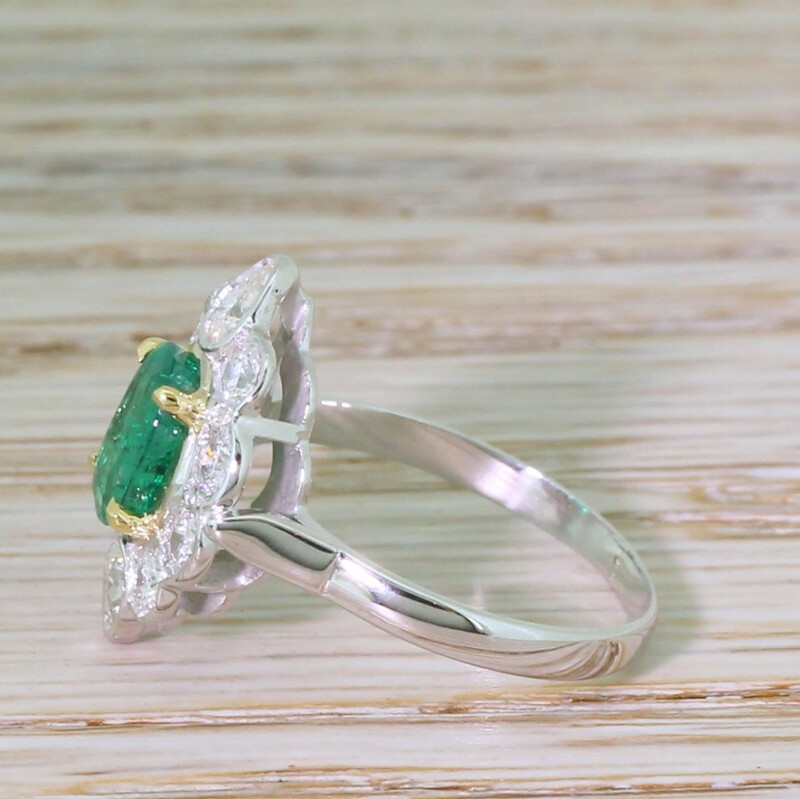 The central oval cut Colombian emerald is an electric, bright green and is surround by ten white and bright diamonds; eight round brilliants and, at the top and bottom of the ring, two pear cuts. 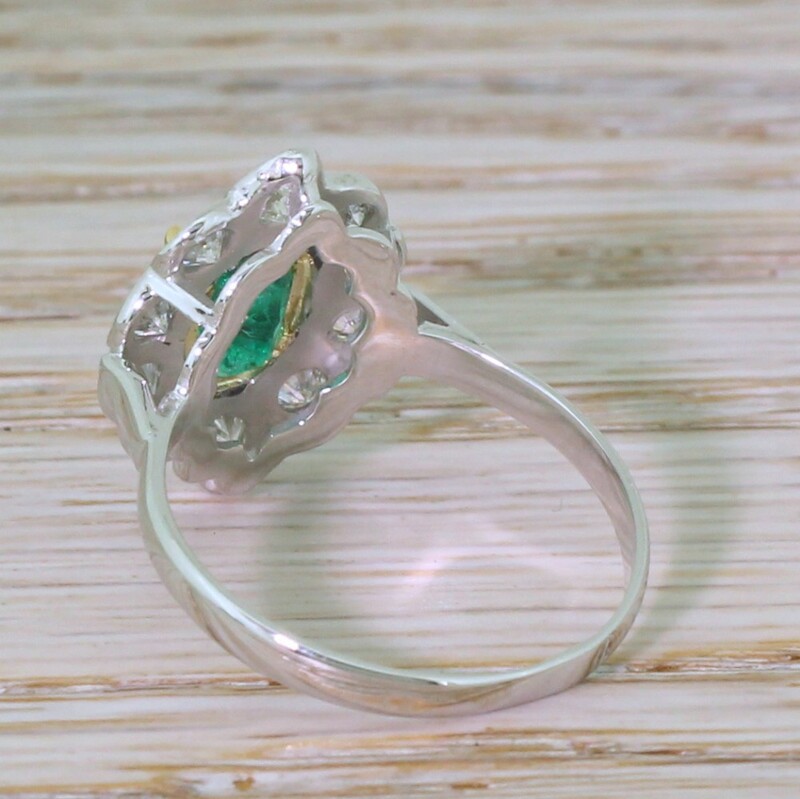 The simple, open gallery leads to a slim, white gold D-shaped shank. 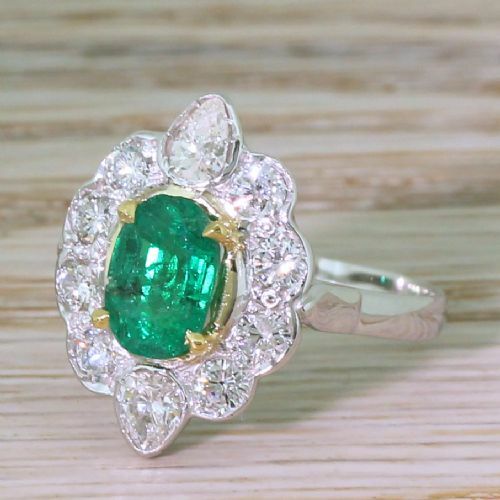 An exquisite and dazzling design. 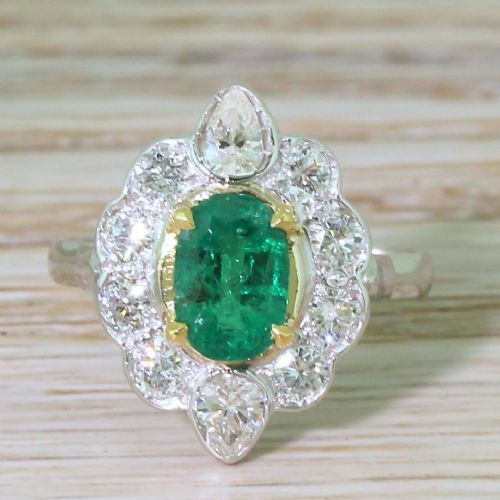 The Mid Century 1.07 Carat Emerald & Diamond Cluster Ring, French has been added to your saved items.